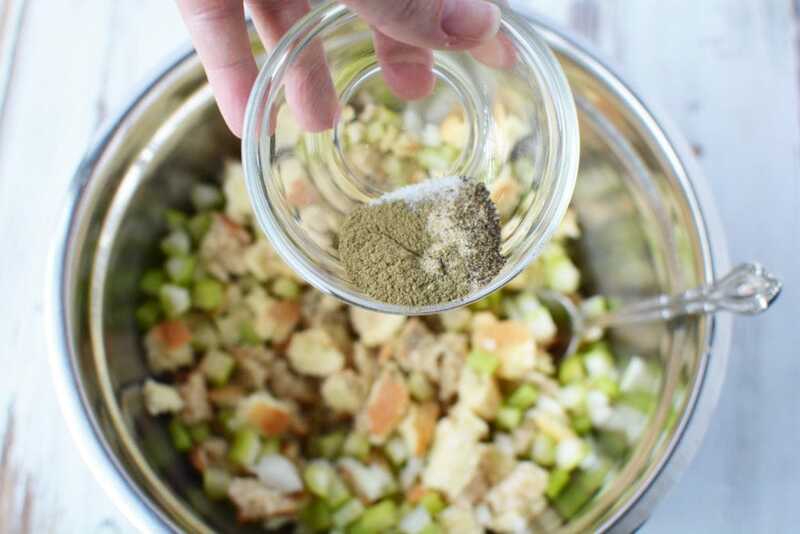 With this Instant Pot Turkey and Stuffing recipe, you’ll know for a fact that your two main dishes will be piping hot and perfectly cooked, at the exact same time! It’s no easy feat hosting and preparing an entire Thanksgiving dinner. There are so many moving parts when it comes to timing all the dishes, finding space for them in the oven and then trying to coordinate everything that you’ve cooked to be warm and ready to eat all at the same time. Exhausting even just reading and thinking about it! This Thanksgiving, why not let your Instant Pot take care of the main dishes? Not only do they two dishes compliment each other perfectly, but they really and truly are the main dishes that people crave when they think of Thanksgiving dinner! Give your family and friends exactly what they want by using your Instant Pot to be your kitchen helper. You’ll love the ease of this Thanksgiving recipe and your “taste-testers” will love just how moist and delicious both items are! Mix all ingredients together and set aside to stuff the turkey. Rinse turkey breast and set onto a plate. Stuff stuffing into the cavity. 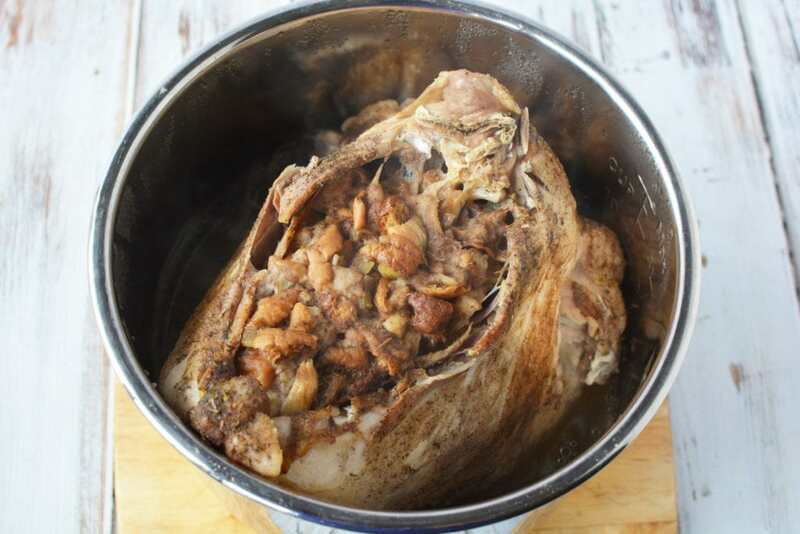 Place 1 cup of water into the instant pot and place the turkey into the pot. Sprinkle with poultry seasoning. Place the lid onto the instant pot and seal shut. Close the pressure release valve and set the instant pot to manual, high pressure for 30 minutes. When the cooking cycle is complete, let naturally release for 30 minutes. Release pressure and open pot. 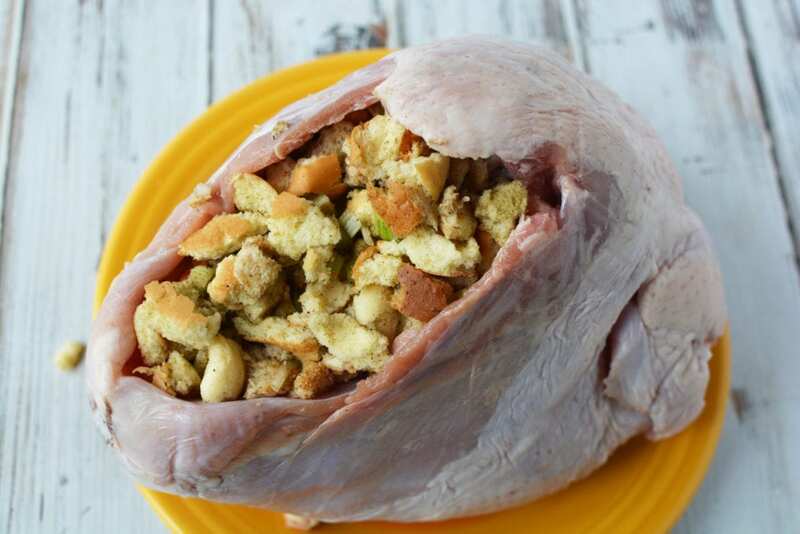 Remove turkey, slice and serve with stuffing. 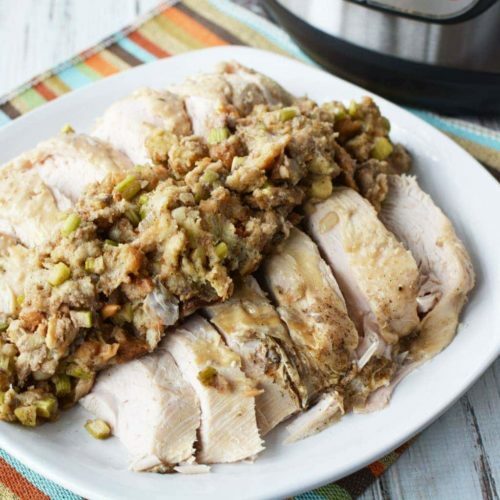 With this Instant Pot Turkey and Stuffing recipe, you'll know for a fact that your two main dishes will be piping hot and perfectly cooked, at the exact same time!